Send this Happy Birthday Cake to your Favorite one and make them happy.No birthday is complete without a cake and a special cake makes a birthday memorable. We make Happy Birthday cakes to make your birthday special. 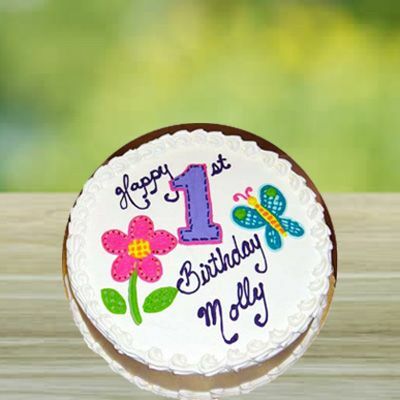 Our Happy Birthday cakes are the best way to send birthday greetings to your loved ones. Send cake online and surprise your dear one; our delicious flavored cakes will convey your sweet greetings. We offer five tasty flavors; you have the choice of tasty strawberry, creamy vanilla, rich chocolate, yummy butterscotch and exotic pineapple. 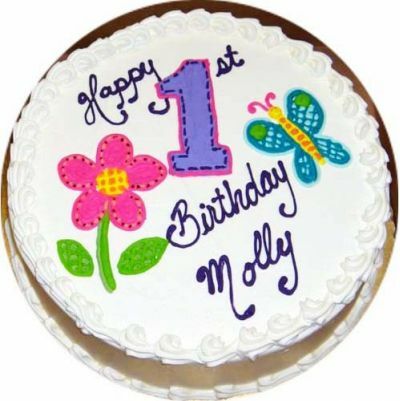 Our fresh and tasty cakes will make anyone feel special. For your convenience we offer home delivery service and special midnight delivery service.